ASA invites you to an afternoon to view this collection at the Ian Potter Museum of Art on Tuesday, 01 September 2015. An illumination: the Rothschild Prayer Book & other works from the Kerry Stokes Collection c.1280-1685 provides an opportunity for Australian audiences to view this specific aspect of the Kerry Stokes Collection for the first time. While Mr Stokes has assiduously built his private collection for over forty years, many of the works included in this exhibition, such as the luminous examples of medieval stained glass, the representation of gilt and polychrome medieval sculpture and the Pieter Breughel the Younger painting Calvary (1615), reflect an acquisitions program stimulated by the purchase of the extraordinary Rothschild Prayer Book (c.1505-1510) in early 2014. 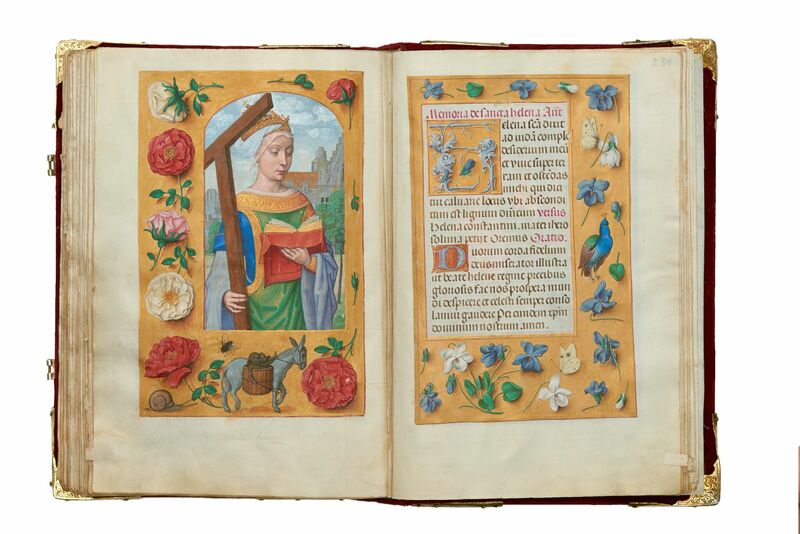 The Rothschild Prayer Book is a masterpiece of Flemish Renaissance art. One of the finest illuminated manuscripts in private hands, this jewel-like Book of Hours originated in Ghent in the southern Netherlands, and contains lavish illustrations by recognised hands, including some of the most renowned illuminators of their day. The Kerry Stokes Collection contains many pieces that date from the time of the Enlightenment, and a number of items that were created from the period that witnessed the inception of the book and the cultural evolution that followed. Along with the Rothschild Prayer Book, An Illumination contains 40 other manuscripts and decorated incunabula (books, pamphlets or other documents that are printed, and not handwritten) and a selection of over 20 paintings and sculptures; encompassing portraits, devotional panels, crafted furniture and stained-glass sequences. As such, the exhibition provides an invaluable context for the development, creation and use of its centerpiece, the Rothschild Prayer Book, while providing a multi-layered experience of the late Medieval and Renaissance period through a selection of significant religious and secular objects and art works. 3.30 – 3.45pm Introduction to exhibition by Shane Carmody. Venue: Ian Potter Museum of Art, 801 Swanston Street, Carlton, Victoria.